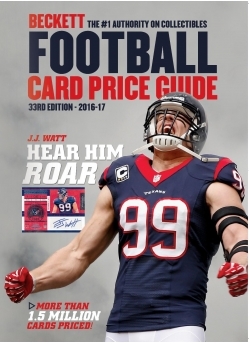 Complete checklists and pricing for every important football card set from 1894 to early 2016. Hundreds of new sets added and more than 75,000 new cards priced in this edition. Complete checklists for all included card sets. Set description includes distinguishing features, key cards, distribution information - everything you need to Become a football card expert!